so well if next two months are a trading range, we'll see. Salt and SKY are relative strength and some others. I will probably skim a little Sky watching it, I'm no good at tops in these things. Some other things are low now and would like a small skim. one ether, move it directly to myetherwallet.com or metamask. The promotional offer by Salt is to take loan payments in salt tokens valued at full retail 27.5. Its an easy double. I'm not in a way of wanting to post my large holdings for collateral right now but do want salt tokens for the double and plus some. Webbot said this and populous are the early successes in the spring that validates all of it. Oh, PRO Propy moved out on volume, not sure of news I really dont see the news or look for it. video with trader boss, apparently the trader calls slots didnt sell out yet, open until 9:30 tonight I assume eastern. to $10 doing the same thing as populous. So I picked up about $100 worth of PRO, that's probably going to be the extent of my adds. setting up havent launched yet, could be a good week coming up. Even FUN and KIN, all of it good. DGB is one setting up. 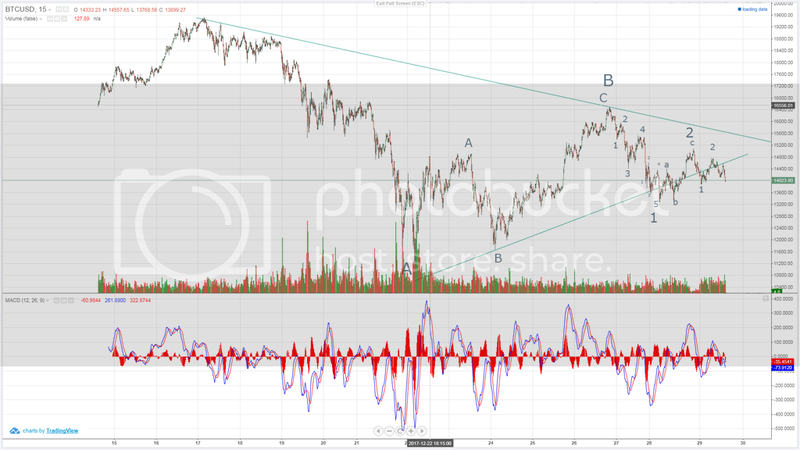 the webbot longer term forecast conviction. But then is a reminder they do stupid things and will be able to pick stuff up. So I have a problem to sell something to have liquidity ready for TB calls next week, there is nothing I like to sell. I think SKY can just be starting a 3 wave, in 1 of 3. Edited by AChartist, 29 December 2017 - 12:27 PM. KMD should be turning up now, also SC is a good value and good technically. could be a huge weekend to go over the top on everything, everything. another good value item on the move is SNT, alot of them. maybe sell half DGB for lower prices. They need puts on this stuff for times like this. Closed about half DGB, $4,500 ready for the drop. Third wave hourly VOLUME ! Edited by CLK, 29 December 2017 - 08:54 PM. I think either 3 or 5 of 1 of 3 is done at 13k. Expecting 7,000 downside target.